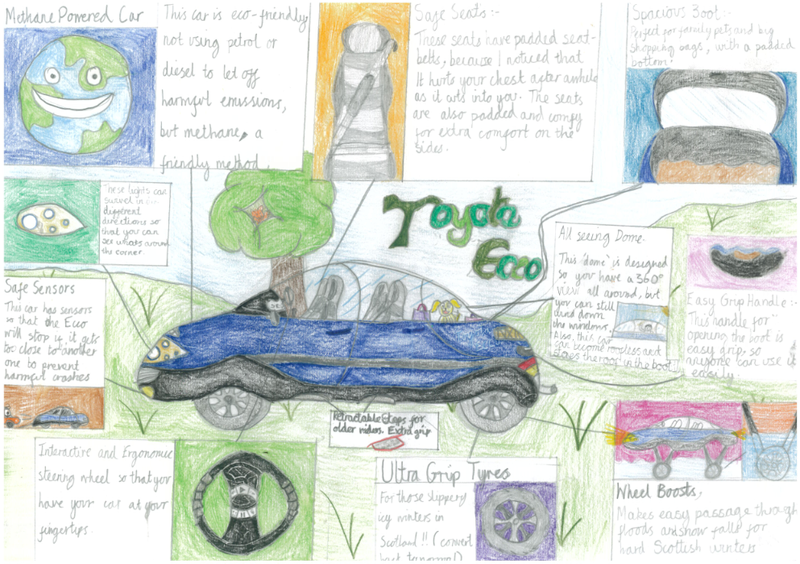 The bold vision comes courtesy of all who entered Toyota’s unique Dream Car Art Contest – the results of which were announced today at a special ceremony at Toyota’s GB HQ. 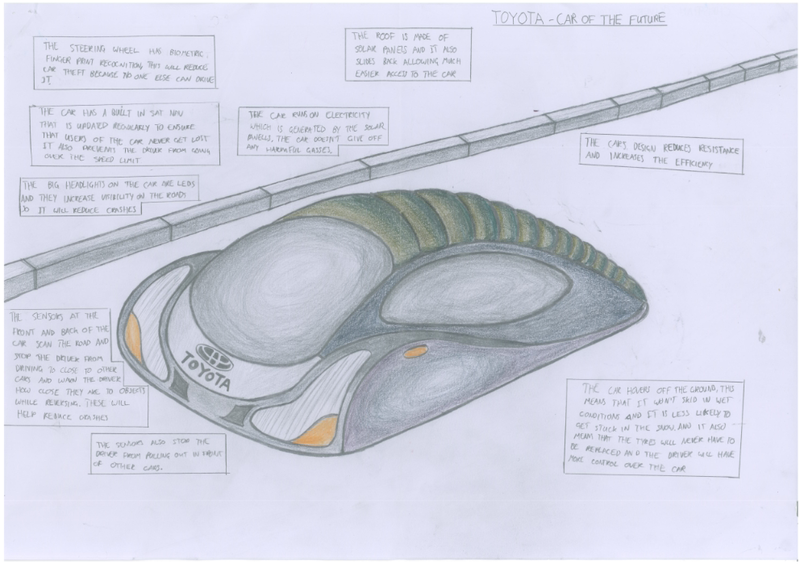 The contest, which is open to artists aged under 15, is now in its sixth year and gives budding designers and car fans the chance to have fun drawing their dream car of the future. The 15 UK finalists will now be put forward to the global stage of the competition, with the chance to win a trip of a lifetime to Japan. This year, we received more than 1,200 imaginative entries – and there’s no doubt that this was a tough competition to judge. Our panel was very impressed with the standard of this year’s work, below, all of which showed off lots of creativity and originality from everyone who entered. Jon Williams, President and Managing Director of Toyota GB, took to the stage to announce the winners, who were joined by their parents, friends and family. A special well done to all those who entered and especially to our winners present today for being chosen as the best UK entries in their respective age groups. We hope you’ve enjoyed following the UK competition and please do join us in wishing our congratulations to all those who entered. To see entries from all the UK winners, please visit our Dream Car photo gallery. 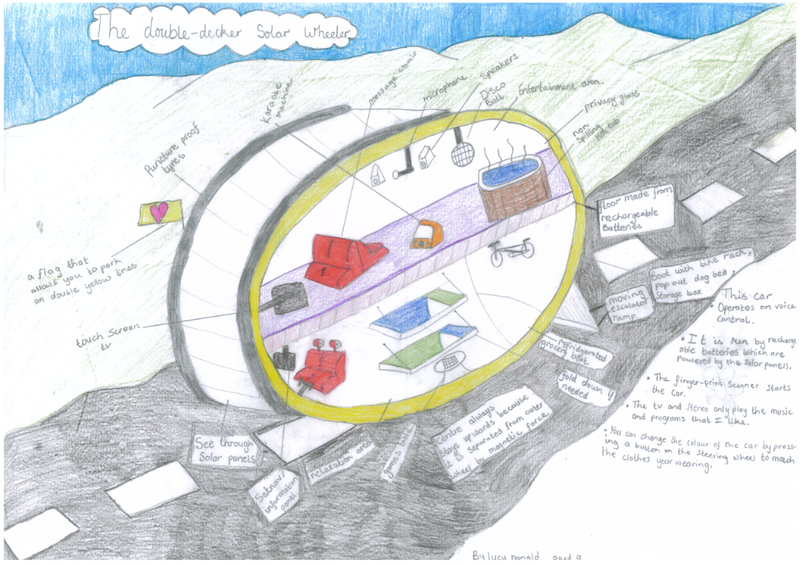 You can catch up with the winners of last year’s competition, here. Thanks for getting in touch, for more information on the UK competition, have a look here http://ow.ly/9MGUI , Dream Car is a global competition so it maybe worth contacting Toyota India and asking if they are planning to run the competition in India, I hope that helps and good luck.